If you saw my makeup collection today you would never believe that I wore virtually no makeup in high school or before! Even early on in college my makeup was minimal - under-eye concealer and bronzer, occasionally a little eyeshadow that consisted of one color all over the lid. About 2 years ago I discovered beauty gurus on YouTube and my makeup routine completely changed! I love doing my makeup and trying new products and different looks and such. So if you are more interested in learning about makeup then keep reading! 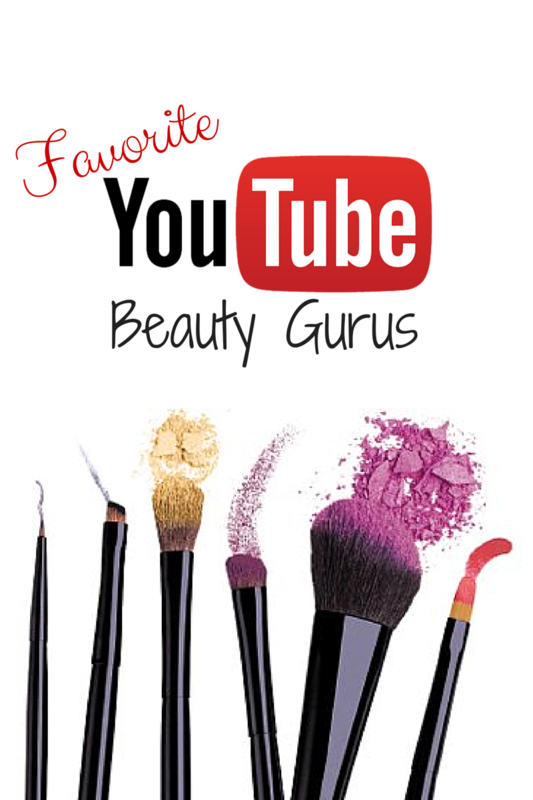 I plan to start a new series soon of my beauty favorites, so keep an eye out for that! One quick warning: if you start watching beauty videos you will not be able to stop and you will spend all of your money on makeup and everyone who knows you will think you've gone crazy! Okay, now full steam ahead to the favorites! If you're just starting out, go back and watch some of her earlier videos where she does an entire video on foundation, or contouring, or brows. Now she does more full face tutorials which might be overwhelming if you haven't had much experience with makeup. Next I found Kathleen Lights - my home girl, my one true love! Lol she has no idea who I am but I REALLY got in on the ground floor with this girl! The first time I watched her video I think she had 20,000 subscribers or something and now she's over 600,000! Get it girl! Kathleen is absolutely hilarious and so down to earth. She uses a lot more drug store (although more and more high end lately) which is more realistic for us real people! Ha! More recently I have come to love Lauren Curtis. I had seen 1 or 2 of her videos before but never committed to her until now. She's adorable and Australian and soooo down to earth! She's also the only blonde which doesn't really make a difference but it is easier to see how things will look on me as compared to the darker haired girls. Lastly is not really a beauty girl but I really love her videos and that is Aspyn Ovard! She is super cute and makes a lot of videos that have some great outfits, recipes, and gift ideas. I think her audience is a little younger, granted she is younger, but I still enjoy the videos and they are usually pretty short so they make a great study break!